“The only way to stop a bad guy with a gun is a good guy with a gun,” Wayne LaPierre touts after most tragedies. He is the Executive Vice President of the National Rifle Association and avid gun rights activist. President Donald Trumps echoes him after every tragedy involving a shooter. The most recent a California bar that was shot up, leaving 12 people dead. The statistics with how many mass shootings are inexact and highly debated, but there is no denying the issue our country has with them. Having two shootings within a month of each other, within a year of a school shooting, within months of another massacre. To have a survivor of a mass shooting be a survivor of another shooting…is undeniably problematic. The perpetrators in the most recent and most publicized killings got their guns legally. There is always the argument of illegal means still exist and that it leaves abiding citizens the only ones punished. But there still exists studies to indicate that legislation works. A simple graph presented by Vox shows that the United State far surpasses any developed country in gun deaths and gun ownership. 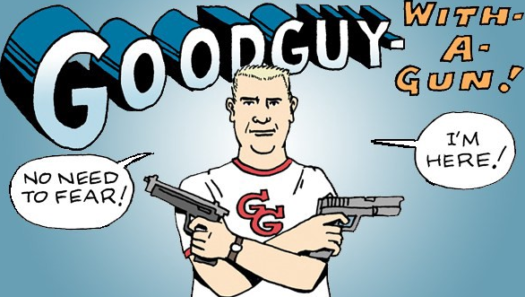 A good guy with a gun could diffuse a situation. But to curtail these situations should be the focus. Not to minimize carnage, but to minimize incident.